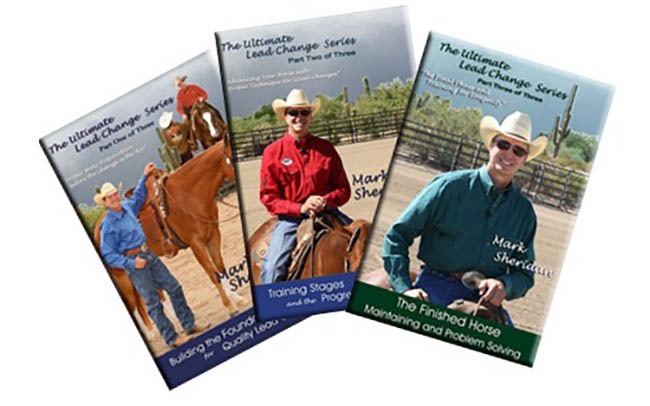 DVDs and Books - Mark Sheridan Quarter Horses, Inc.
Over four hours of information in a three series DVD set on achieving perfect lead changes from start to finish, English or Western for any breed, discipline, or event! 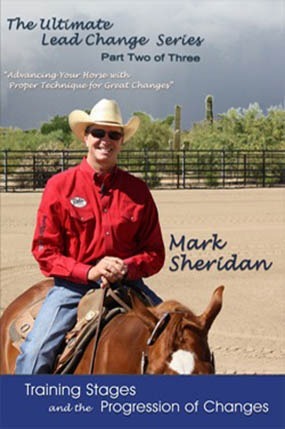 Mark has developed a program for lead changes that works for English, Western, any discipline or breed. Having the ability to execute proper lead changes means you have better control of your horse and can improve your scores when competing. 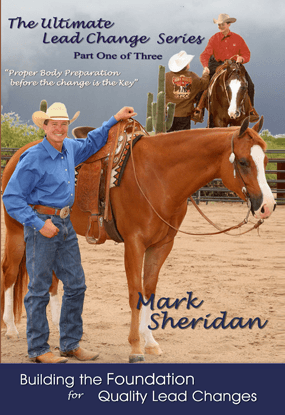 Find out why some horses change better than others and what the mechanics of good lead change are. An incredible amount of information on advance body control and creating evenness in all aspects of your training. Ride so that every day gets better and make your training last a lifetime for any event. “Advancing and Perfecting Your Perfect Lead Change” … The Final Phase and Training for Longevity. 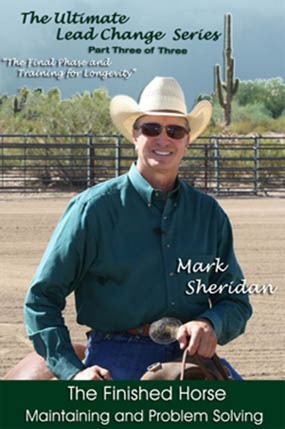 This DVD is the final part in the Series, “The Ultimate Lead Changes”, with an emphasis on the event of Western Riding. Which DVDs are you interested in?